By Prof. Hubert Rampersad, Ph.D.
Everything starts with a dream. 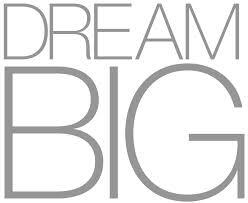 You will become big if you dream big and you will remain small if you dream small. You will not be successful in life if you don’t have a dream. You are hallucinating if you have a dream but have not put this into action. Everyone has the responsibility to identify his/her own dreams and to respond to it with love and passion. In this way you will become a visionary soul. Visionary people are imaginative, idealists, innovators, and creators. They know their genius, dream, higher calling, and know what the meaning of life is. They make the world go ’round. Since everything starts with ideas, everything comes from them and begins there. Remember what George Bernard Shaw said: ‘The people who get on in this world are the people who get up and look for the circumstances they want, and, if they can’t find them, make them’. You have to be able to dream outside the box. Also remember what Walt Disney said; “If you can dream it, you can do it”. His Highness Sheikh Mohammed bin Rashid Al Maktoum is a visionary thought leader who defined and implemented his authentic dream successfully and who I admire enormously. He is the world’s best CEO. His Highness Sheikh Mohammed bin Rashid Al Maktoum is a role model who defined and implemented his authentic dream successfully and who I admire enormously. His dream many years ago was– Transforming Dubai and the UAE into international hubs for commerce and finance. The UAE Vice President & Prime Minister and Ruler of Dubai holds his country up as an example of extraordinary development based on excellent leadership, management, teamwork and timely decision-making. He started his project alone…by installing awareness in the people of the Emirates of the joint destiny of their small homeland and their larger home extending from the ocean to the Gulf. He said: We have learnt a lot. However, knowledge alone is not enough…We have a vision, which we exert all efforts to realize, of Dubai as a major trade centre for the East and the West and we believe that Dubai is well qualified to play this great role…Every man should have a vision and objectives and set himself a certain time in which to achieve them. .. When a man knows the way to the future, he should take the reins and advance, for this is our duty towards our people and our nation…..We are very realistic, despite our big dreams, and we work hard to be the best, relying on God and our citizens. ..The word ‘impossible’ is not in leaders’ dictionaries. No matter how big the challenges, strong faith, determination and resolve will overcome them. .. Waiting has never been our choice in the past, nor is it in the present. We are always striving, anticipating the future and preparing for it… We have to make history and approach the future with steady steps, not wait for the future to come to us … Before evaluating the future, we have to take a quick look at the past, for it is the foundation of tomorrow….We are proud of our past and our present and we face the future with unflagging determination…Unlike others, we are not content to settle for what was accomplished in the past, because life doesn’t stop and it doesn’t care about those who stop because they are content with what they have achieved…We have succeeded because we have always believed that tomorrow is a new day, that yesterday’s achievements are in the past and that history will record what we achieve in the future, not what we have achieved in the past”. has faith in himself and the courage to pursue his dream. 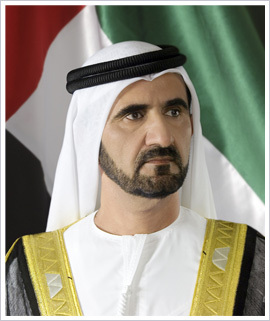 Sheikh Mohammed bin Rashid Al Maktoum has proven that if someone has a clear authentic dream, responds to it with love and passion, has the courage to pursue this dream, has faith in himself, and lives according to his dream, this dream will guide that person’s life and will result in purposeful and resolute actions. He took the responsibility to identify his authentic dreams and responded to it with love and passion. Stop complaining and do not blame others for your failures. Take the initiative and the responsibility to develop, implement, and cultivate your authentic dream as well, and keep it at the forefront of your mind each day. Anyone can deliver peak performances and be successful in life, because all of us have the genius within us to do so. Success is not something that will come automatically or something that the world will define for you. It’s what you define in your ambitious dream and in the way you pursue this dream. Success doesn’t come to you …you go to it. You must have a dream in life, follow your heart and love what you do, if you expect exceptional success. You will surely have it, since people who ask for it, wish it, dream it, fix it in their mind, visualize it, feel it, allow it, give your peak performance to it, respond to it with love, passion and integrity, attract success. This article is based on Dr. Hubert Rampersad’s new book: “Authentic Personal Brand Coaching; Entrepreneurial Leadership Brand Coaching for Sustainable High Performance’. Check also his related workshops Entrepreneurial Leadership Coaching for Sustainable High Performance , Authentic Personal Leadership Coaching and Personal Leadership Branding. Check interviews and articles of Dr. Rampersad in Fortune Magazine, BusinessWeek and BrandChannel. Our authentic personal branding methodology is also being used at the University of California (UCLA) and MIT SLOAN.